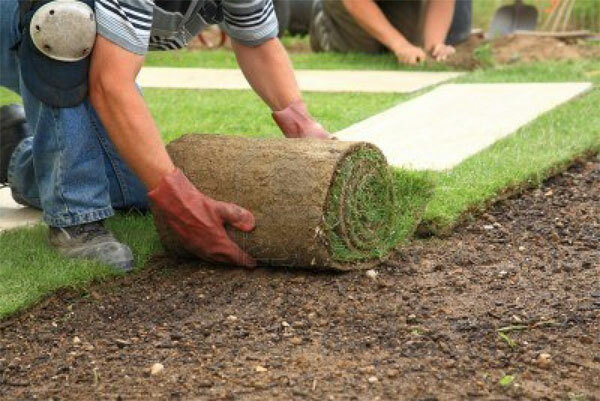 One of the Property Care Guys main services is supplying and installing roll-on Grass varieties. Preparation. 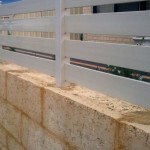 Site works is what we are excellent at. We make sure the area is perfectly level before laying. We have seen many poorly done jobs which require sand afterwards to fix dips and rises which simply should not be there when the time comes to lay the rolls. Providing a fresh product. It is crucial to lay the lawn soon after harvesting. Some companies leave it over the weekend which is not a good idea in Perth weather. Choosing the highest quality, healthy grass. Our suppliers know what we expect and we refuse anything not up to standard. Fertilising – We use the best special lawn mix to nourish any type of grass laid. A cheaper option is to lay it on the existing soil which still works because we get it so level and add our own fertiliser. It’s not quite as great but suits smaller budgets. One your roll-on lawn turf has been installed we set our reticulation systems to an establishing program – to water several times per day. You must advise the water corporation you are doing this to avoid a fine. After the lawn has grown in nicely a normal program can be set which is easy to do yourself by reading the controller manual. We may show you this beforehand, or even come out and reset this for you if need be at no charge. A relatively unknown type which has all round qualities. As it is slow growing (a good thing once established) Initially it can take up to twelve months to fully establish. Recommended is adding Eco-Growth NPK Red every 6-8 weeks for one year. 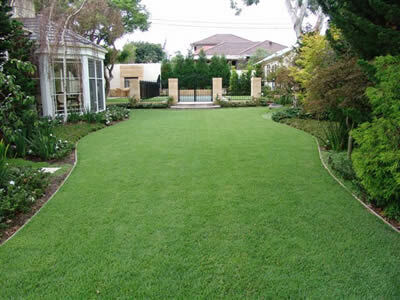 Pricing Per Square Meter: Approximately $25 supplied and installed, depending on lawn size. (A similar one is called Palmetto) Qualities: Softer than the old Buffalo, suitable to most conditions. Invasive. I personally don’t like this grass as I used to weed it out of my garden all day! But it is a very nice lawn if looked after. 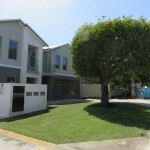 Drought Tolerant – Saving you money there. Pricing Per Square Meter: Approximately $22 supplied and installed, depending on lawn size.